Matt Driscoll and Tony Jasick are friendly, but not friends. Jacksonville’s two Division 1 men’s basketball coaches live in the same beach neighborhood but they’ve never been in each other’s home. There’ve been no backyard barbecues. They’ve dined together only once and that was nearly five years ago when Driscoll, in his 10th year at UNF, welcomed Jasick to town as JU’s new coach. Perhaps that’s a glimpse at how intense the rivalry is between the crosstown Atlantic Sun Conference schools. 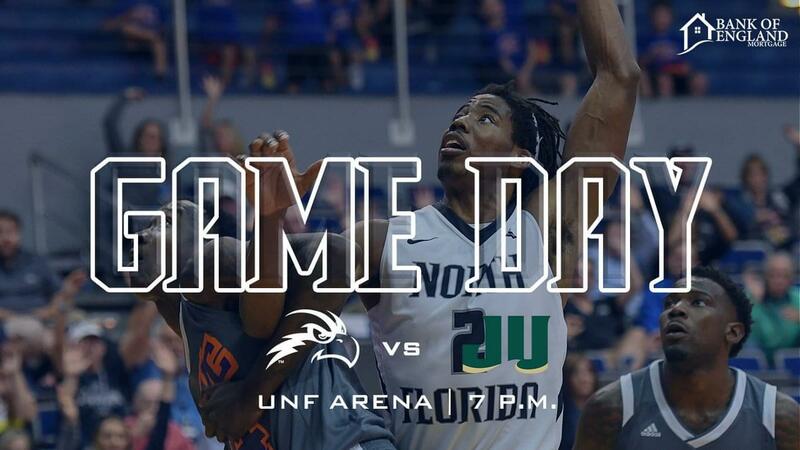 That rivalry resumes tonight at UNF. It wasn’t a rival for years as JU dominated. Driscoll saved the rivalry, beating JU is his 6th try and then winning nine of the next 11, many of them blowouts. Then, Jasick saved it, winning both games last year. Neither team is likely to win the Atlantic Sun Conference title this year but that doesn’t matter in this get-together. The last four games have been decided by a total of 16 points. Expect another close one tonight. I once wrote – back in my days as sports editor of the Times-Union — that Florida hadn’t fired its basketball coach, John Lotz, because Gator Nation didn’t care enough about basketball. Several days later, while the Gators were on a road trip in early January of 1980, Lotz was canned. In his six-plus years at Florida, he had an 83-88 overall record and a measly 46-66 SEC record. Lotz was furious at me. Newspaper columnists had more clout back then. Has nothing changed at Florida? I’m not suggesting Mike White be fired, but in his 4th year the Gators are, at best, slightly above average. Where’s the outcry about White’s performance? Shouldn’t the scrutiny be intense? Shouldn’t the heat be hot? White simply hasn’t been competitive in recruiting the top players, particularly big men. They have little inside presence on either end of the court. White’s Gators are heading in the wrong direction.